Jewelry made of gold look dignified when taking care of them. They not only Shine yourself, but also make Shine the eyes of their owners. 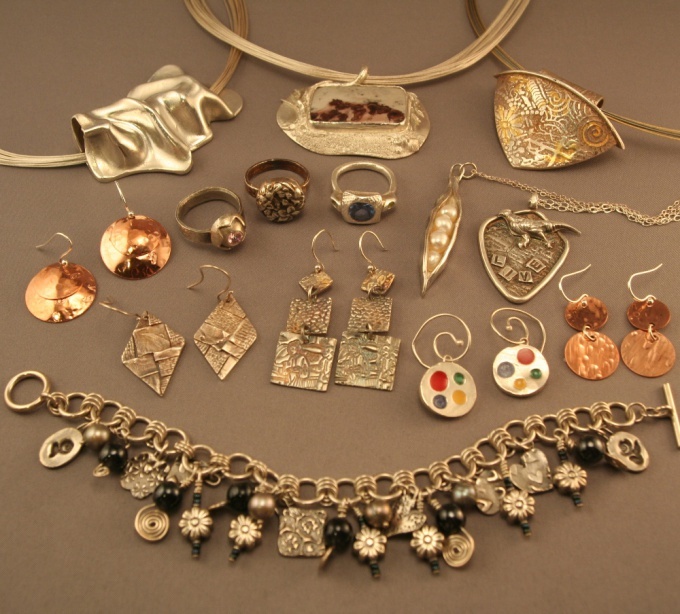 Brooches, rings, earrings, pendants – all they require from time to time cleaning and polishing. Best Polish gold jewelry in the jewelry salon. For this there is a special paste with which achieve perfect results. But this service is not free. The easiest and effective way to bring back the Shine of gold jewelry at home is to Polish it with a napkin impregnated with special compounds. These wipes are sold in any Department that sells jewelry or jewelry. Another method to clean gold jewelry with toothpaste. Apply a thin layer of paste on the product and Polish with a cotton swab. You can use for this purpose and a toothbrush – it is better to clean the dirt out of small recesses. We should not forget that toothbrush, even though she copes with hard-to-reach places bristles stronger effect on the surface of the jewelry. Such polishing is more aggressive. Instead of toothpaste you can use tooth powder, talcum powder or powder. The selected product should be applied on a cotton swab or soft cloth to RUB the ornament, and then Polish it another clean soft cloth. It should be remembered that the selected remedy is for gold abrasive, so it is better to choose funds with very small particles. You can apply for a gold product layer of an ordinary lipstick, and then Polish with a cloth, cotton swab or soft paper. In order to Polish the product with a large number of recesses (e.g., earrings) or just decoration, exposed to excessive pollution, must pre-clear it. Any cleaning, irrespective of the option no has been selected, it ends up polishing the jewelry with a soft cloth. Laundry soap, grated on a grater and diluted with water (tablespoon of soap to a glass of water) to prepare the decoration for polishing. Should be omitted if the product is in solution and "cook" for a few minutes. Cleans gold jewelry ammonia. It smells not so great, but cleans great. Need to drop off the decorations and give the time to back up all the dirt. After the gold is washed and rubbed with a soft cloth.